Michael Sweeney believes 2019 could be a "big year" for him at the Isle of Man TT races. The 37-year-old will compete in all six solo races at this year's event on the Mountain Course. It is the sixth year the County Dublin rider will take part in the TT, after making his debut in 2014. Sweeney will ride BMW machinery in the superbike, superstock and senior races, and a Yamaha YZF-R6 in both supersport races. The Martin Jones Racing rider said: "I really feel that I am now getting a feel for the TT course and every year I've built and improved on the previous year. "This is a big year for me and I'm looking to make further progress and improve my lap times and race positions and staying with the same team will help with that," he added. The double Manx Grand Prix winner is a regular podium finisher in the Irish National road races. 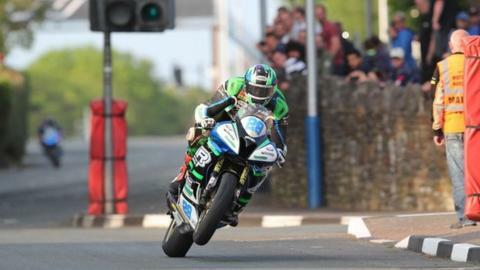 The 2019 Isle of Man TT races take place from 25 May to 7 June.